The head designer behind the performance space inside MGM National Harbor walks WTOP through the room's unique and adaptable features that make it a venue chameleon. 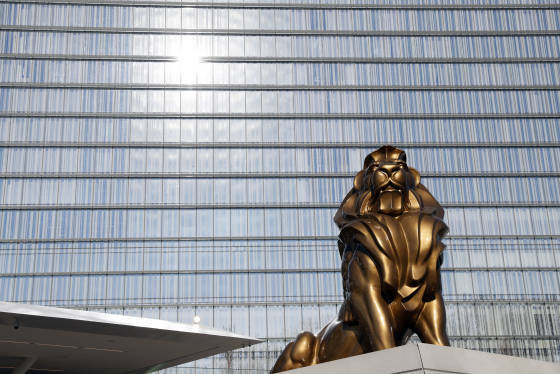 WASHINGTON — The Theater at MGM National Harbor is a chameleon that can transform to accommodate everything from banquets to music to boxing. Telescopic seating can be expanded or contracted to allow more or less standing room. And part of that seating can disappear by lowering it into the floor. “That’s something that’s has never been done before, and is totally unique to this project,” said head designer at Sceno Plus Olivier Berthiaume-Bergé, who designed the theater. MGM promotes The Theater as an intimate space. At its highest capacity, it can host 3,000 guests or provide 40,000 square feet of flat floor space. 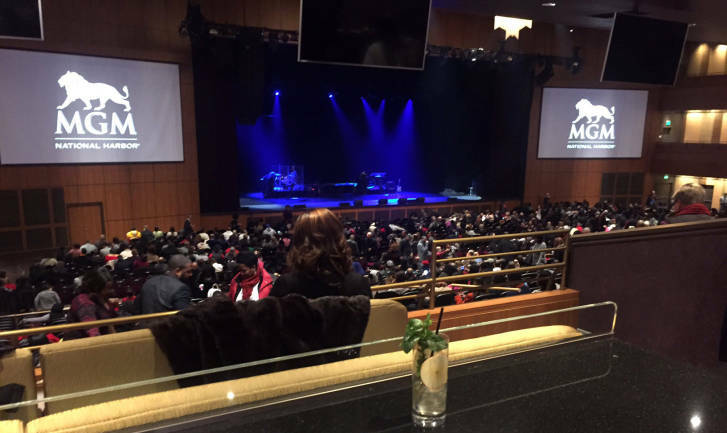 With the flat floor configuration, The Theater can host events like banquets and sporting events such as boxing, conferences and product launches. “Imagine it and we can do it,” Berthiaume-Bergé said. Special attention was paid to acoustics. Berthiaume-Bergé also said that the two levels of galleries along the room’s sides will enhance the experience for both guests and performing artists. “We’re wrapping the audience around the artist, so he or she can feel surrounded and really in communion with the public,” Berthiaume-Bergé said. So far, The Theater has booked music, dance and comedian programs. The new casino and resort opened to the public on Dec. 8.